Closed bay industrial grade shelving with quick bolt-free assembly. 2100mm high x 1000mm wide x 500mm deep with 5 shelf levels. 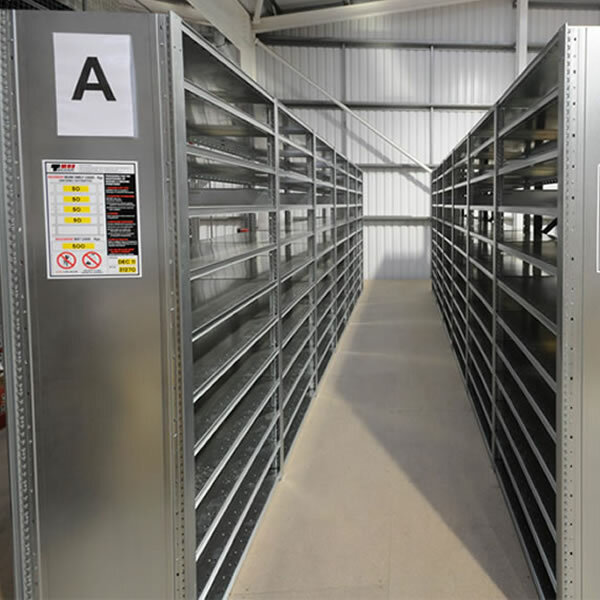 Extension bays can be added to create additional bays, supplied with 1 x pre-assembled end frame and 5 beams with steel shelves. 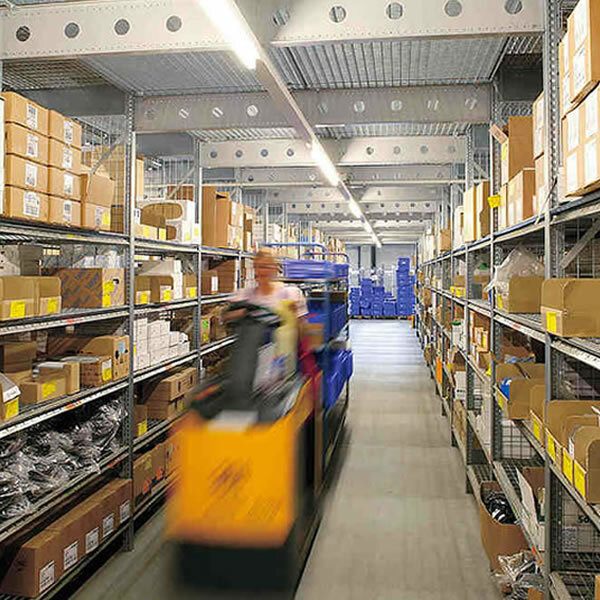 A heavy duty and versatile system that is completely adjustable and adaptable to requirements, Dexion HI280 shelving can be used for a huge variety of storage purposes. Quick and easy to install due to a smart construction technique and design based on the minimum number of components, HI280 provides maximum storage for its depth as reinforcing cross bracing is not needed. 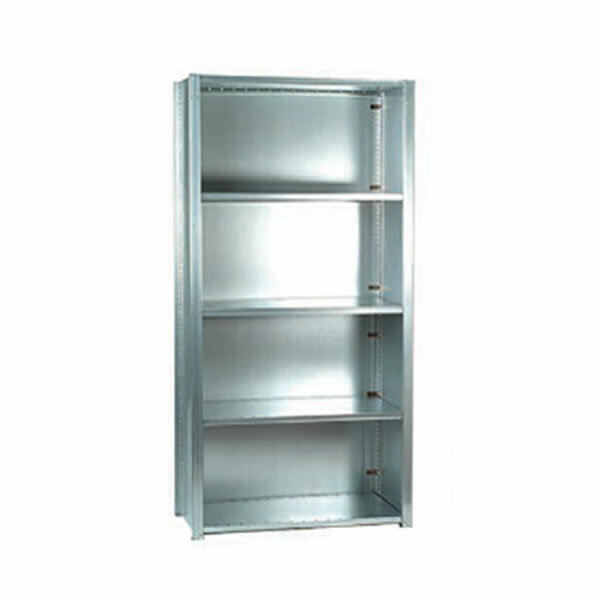 The core of the system is uprights and shelves made of high-quality, pre-galvanised steel. Coupled with a fully automated manufacturing process, the finished product is strong and durable. The metallic continuity of HI280 means that bays have a very low resistance to ground when grounded, allowing them to be used to safely store Electro Static Sensitive Devices. Any ESD senstive device will quickly discharge when stored on the shelves of a grounded bay. A wide range of accessories allows HI280 to easily adapt to the items stored and a modular design makes it straightforward to reconfigure or expand to match changing or increased storage needs. 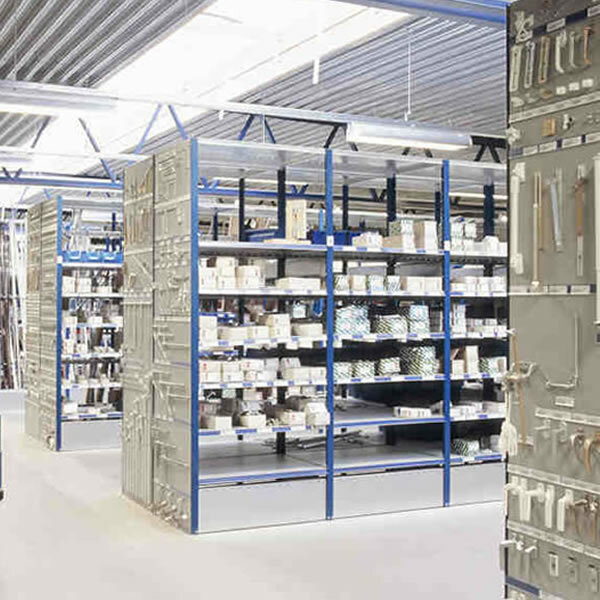 Long lasting, fully adaptable to requirements and with a number of construction and installation options, HI280 shelving provides strong, stable and comprehensive storage for all your smaller parts and items. HI280 is also available in heights up to 3000mm, widths of 900, 1000 and 1290mm and depths of 300, 400, 450, 500, 600 and 800mm. HI280 can be installed as a narrow aisle, mobile or high-rise multi-tiered system to increase storage capacity and suit operational or site specifications. To find out more about different configurations, applications and installations of HI280 shelving call us now on 08082399422 and one of our experienced sales advisors will be happy to offer advice, or you could use our handy live chat service.